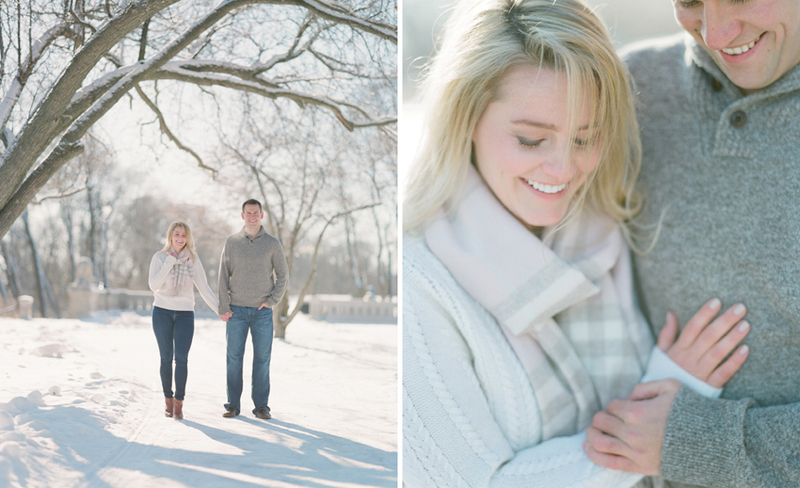 Tara and Charlie met in college, making Milwaukee the perfect spot for the engagement session! 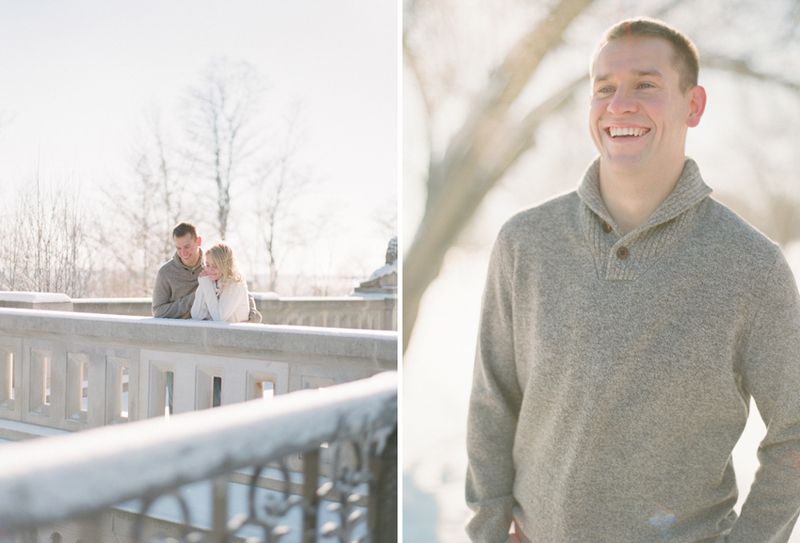 On a crisp, sunny winter afternoon we met the two of them at Lake Park and continued to be impressed by their ability to remain adorable & smiley together despite the chilly temps. :) After exploring a sun-filled bridge overlooking Lake Michigan, we headed to one of our favorite beaches in all of Wisconsin. If you didn’t know any better, you’d think we were in a tropical destination! The sky was bright, waves were rolling in, the water was perfectly blue, and Tara & Charlie were dressed to the nines with Tara in a gorgeous dress and Charlie looking dapper in a suit. 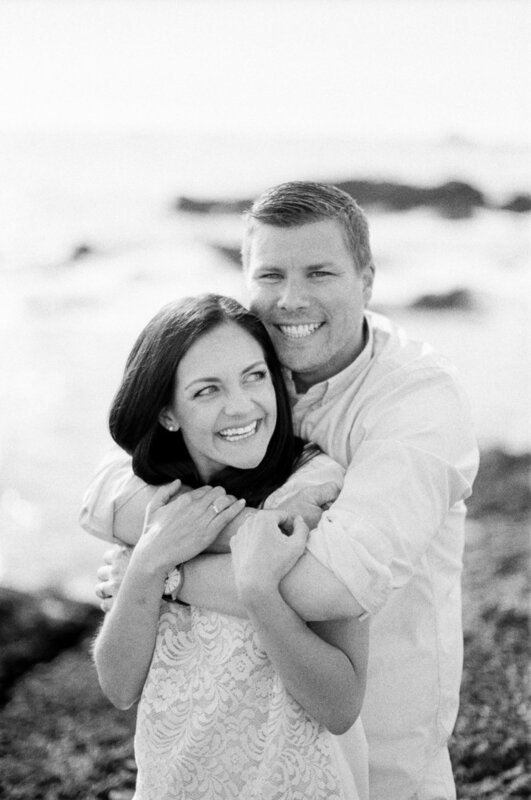 :) These two are planning a classic wedding at the loveliest country club in Green Bay, and we cannot WAIT for July to arrive so we can photograph them as husband & wife!! Milwaukee engagement photos captured with Contax 645 and Pentax 67 on Fuji Pro 400H film. Processed by Fast Foto. 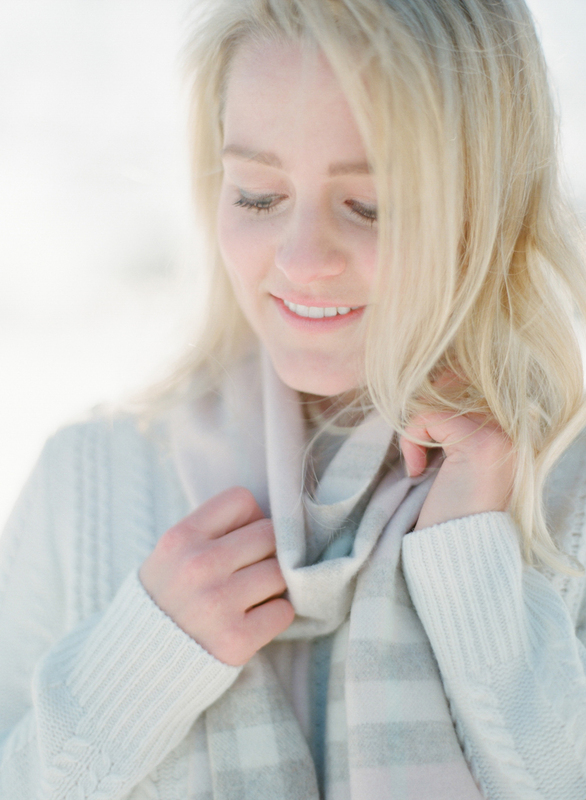 Posted in Engagements Tags: "winter engagement photo ideas", "winter engagement photos", "Wisconsin engagement photographers", "wisconsin winter engagement", "Wisconsin engagement photos in snow"